At Poolside Pros, we offer a large selection of in-ground swimming pools while providing our customers with the best in-ground pool installation. For over three decades Poolside Pros has been owned and operated by the founders. Customer service is our number one priority, and we go all out to help our clients whether its pool service, an in ground swimming pool or if you are looking for a custom pool builder. 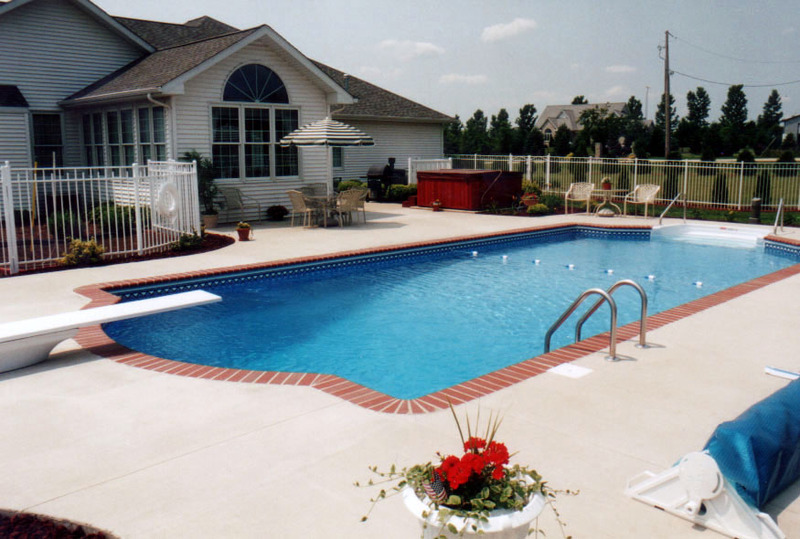 We are an in ground pool contractor that will provide you with a good in ground pool cost. If we can’t find a part or product in our industry, no one can! Our customers in Belvidere appreciate our business and recommend us to their family and friends for all their pool service needs. Belvidere, Illinois is a town located in Boone County on the northern border of the state. Belvidere has a population of 25,585 and has grown its population due to the major auto manufacturing plant reconstructions. Poolside Pros began due to a personal need for a pool and a backyard that would create a calming and fun setting for company. All you will have to do is describe how you would like your backyard pool in Belvidere and then let Poolside Pros create it for you! Don’t hesitate any longer, enrich your family time and create many lasting memories in Belvidere with Poolside Pros! We are an in ground swimming pool contractor so if you’re looking for an in ground swimming pools Poolside Pros is here for you! With more than 37 years of practice and over 1,800 in-ground swimming pools built so far, Poolside Pros is prepared to create your private backyard utopia just for you! Poolside Pros can make it, you just tell us what you’d like! So, this year bring the vacation home and create your backyard pool paradise with Poolside Pros. Pick up your phone and call Poolside Pros right now at (815) 654-7694 to make your dream pool a reality! We will talk with you very soon!